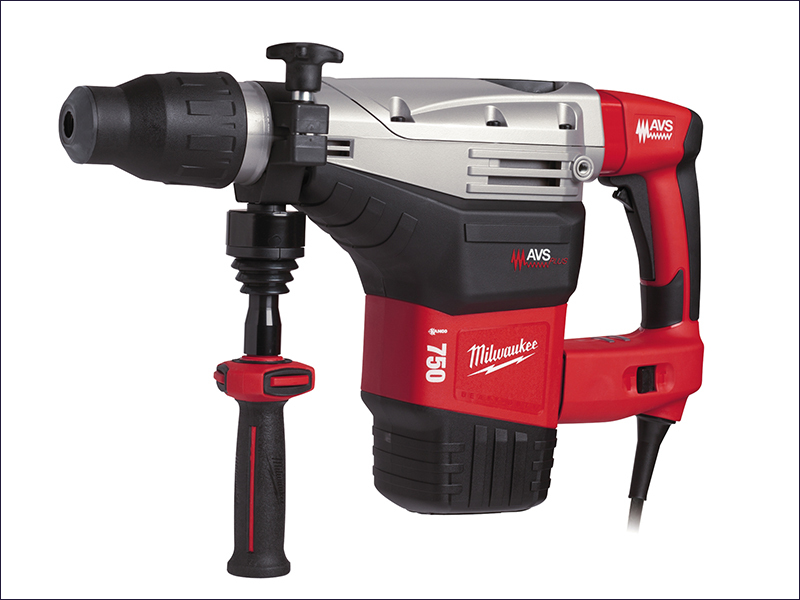 The Milwaukee 750S Kango Combi SDS-Max Breaking Hammer (7kg class) is suitable for hammer drilling and chiseling. It has a powerful 1,550 Watt motor to ensure maximum power, yet maximum durability with effective heat dissipation. The Kango 750S has a large, heavyweight striker delivering maxmimum impact energy. It has soft starting for a more precise start, and AVS (anti-vibration system) and soft-grip handles for additional comfort. The soft hammer mode reduces blow energy for more sensitive materials.